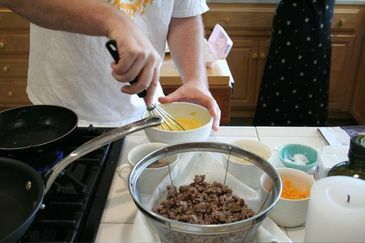 The chef made such delicious meals the past week/end so thought it would be fun to give a little glimpse into the land of the chef. 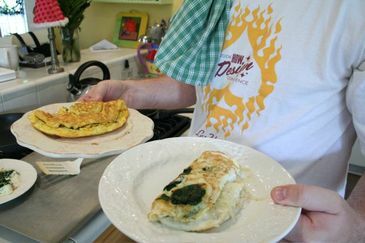 For breakfast, he made omelets... special omelets with spinach and Parmesan in some and then sausage, spinach egg white omelets. 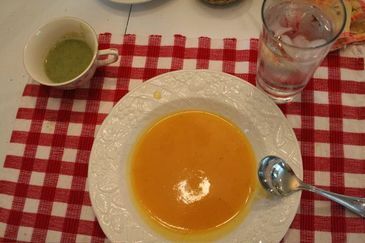 Delicious..... really delicious butternut squash soup and broccoli and potato soup. 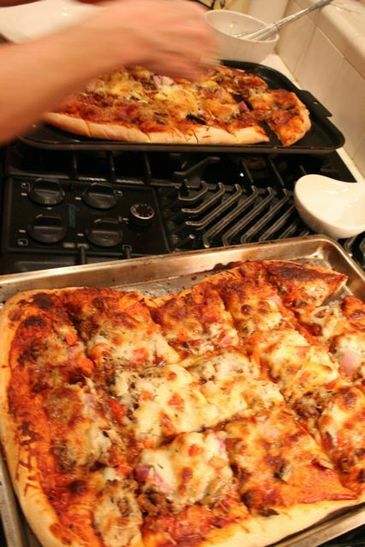 Saturday dinner was wonderful... homemade pizzas! feta, ground beef, red onion, mushroom, garlic and mozzarella on one and ground beef, sausage, red pepper, red onion, mushroom, mozzarella on the other.. yummmmm! 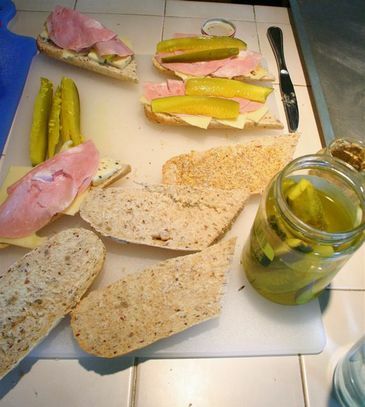 I am getting very very hungry! Didn't take pics of Friday night's meal but it was broiled pork loin and Milanese risotto in a red wine, vinegar and apricot sauce. Chef, you are the best! Thank you for your amazing meals... thank you for being you!